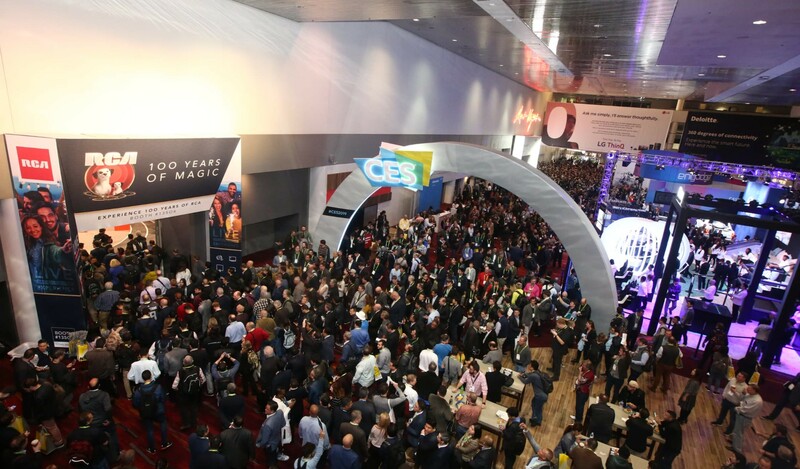 Although it is an event that’s more focused on hardware, the annual Consumer Electronics Show in Las Vegas often provides a bit of a heads-up to software developers. It gives insight into how consumer tech is trending, especially with regards to the different devices and formats we’ll soon have to build software for. Google focused a lot of its time and space at CES to show off some cool things with Google Assistant. In fact, they took over the parking lot with a giant interactive space that included an actual roller-coaster themed around their eponymous voice assistant. The company expects to hit 1 billion active Assistant devices by the end of the month, an increase of 600 million from the year before. A small reminder, though, that Google Assistant ships with Android which helps this number a lot. Aside from the impressive marketing, an interesting thing which was on show was the Google Assstant Connect program. The hardware kit aims to make it easier (and cheaper) to integrate Assistant into third-party tech. Additionally, several manufacturers announced the integration of Google Assistant into their own devices. Amazon, who recently announced that they have sold more than 100 million devices with Alexa, didn’t show much themselves at the conference. The brand still managed to everywhere, though, with its “works with Alexa” signage seen at many other manufacturers' booths. Many third party manufacturers announced the integration of Alexa into their hardware. The usual suspects such as TVs, speakers and smart displays were on display, as well as integrations into the kitchen such as ovens, washing machines and fridges. The most exciting, or at least interesting, integrations were for new device categories, though. This included a piano that lets you control the settings with your voice, a gaming mouse that changes its lighting effects with Alexa and a toilet (yes, a toilet) that has speakers which will respond to voice commands. Finally, Samsung continued its efforts to get people to fall in love with its own voice assistant, Bixby. It announced even more capabilities for the service and plenty of integrations into its own hardware (including a massive 98-inch 8k QLED TV). Samsung already opened up the Bixby platform to third party developers at last year’s Samsung Developer Conference in a bid to step-up innovation and increase reach for the service. What does this mean for software engineers? Voice is not going away. Along with VR and AR, it will continue to play a huge part in shaping how we view and approach human-computer interaction. Folks have been saying this for a while now so, if you were skeptical before, it’s time to finally reconsider your position. With the consumer boom in adoption of voice-enabled devices, it is becoming an increasingly popular (and necessary) medium to know how to build for. While VR and AR aren’t proliferating at the same rate as voice is — likely due to cost factors and a lack of really meaningful use cases — it’s only a matter of time until they become more present in the market too. Software engineers would be wise to take a look at the various developer kits offered by Google, Amazon and Samsung to see what’s possible with voice and how it could potentially be used with your product(s). As well as the previously mentioned 8K QLED TV from Samsung, plenty of other manufacturers showcased some new displays at CES. LG grabbed headlines with a “rollable” OLED display that hides in the stand when it’s not being used, and Lenovo revealed a massive ultra-wide 43.4” computer monitor. The advancements from Samsung and LG are less relevant to software engineering, but the announcement from Lenovo does hint at consumer appetite for larger computer displays. With larger displays obviously comes larger screen resolutions and real estate. This means that product designers and front-end developers will now need to account for even larger screen sizes as they design and build UIs and consider how they scale. When accounting for responsive design, the thought has usually been “how can this stuff get smaller?”. Now we also need to be asking ourselves “how can it get bigger too?”. "One of the most rewarding things about building Clubhouse has been that we've been able to see how the product we built has changed the way #softwareengineering teams work." In the mobile space, 5G was a hot topic at CES. The Verizon, Samsung, Qualcomm and Intel all displayed tech using 5G and/or showcased what it will enable consumers to do. In a particularly impressive booth presentation, Qualcomm showed video being streamed on a VR headset, over a 5G network, with no latency. Despite this fanfare, there’s a limit to how excited companies are choosing to be about 5G. It presents the potential to transfer data at 10x the speed of the current industry standard 4G, but it won’t be something that happens overnight. Networks still need to invest heavily in the infrastructure for 5G, while maintaining the infrastructure for older network technology at the same time (after all, not every device on the network will be ready to go, straight away). 5G is coming, it’s just taking its time. With 5G, users will finally have mobile speeds that rival home and office connectivity speeds, meaning that that mobile app and page loads will be faster than ever. Despite these advancements, however, 70% of cellular network connections globally will still occur at 3G or slower speeds through 2020, according to Google. Since 53% of mobile site visits leave a page that takes longer than three seconds to load, software engineers (especially mobile engineers) would do well to continue working to make sure mobile web versions of their app or site load as fast as possible. The search giant has a handy tool for you to test your mobile web speed here. An announcement from CES that got tech tongues wagging was IBM’s unveiling of their integrated system for quantum computing, called IBM Q System One. "Every classical electronic computer exploits the natural behavior of electrons to produce results in accordance with Boolean logic (for any two specific input states, one certain output state). Here, the basic unit of transaction is the binary digit ("bit"), whose state is either 0 or 1. In a conventional semiconductor, these two states are represented by low and high voltage levels within transistors. In a quantum computer, the structure is radically different. Its basic unit of registering state is the qubit, which at one level also stores a 0 or 1 state (actually 0 and/or 1). Instead of transistors, a quantum computing obtains its qubits by bombarding atoms with electrical fields at perpendicular angles to one another, the result being to line up the ions but also keep them conveniently and equivalently separated. When these ions are separated by just enough space, their orbiting electrons become the home addresses, if you will, for qubits." It’s still early days for quantum computing but it presents a serious revolution in technology. Complex calculations that take traditional supercomputers days to solve - if they are solved at all - could be solved in an instant. If you build for blockchain-powered technology and applications (e.g. cryptocurrency), this is big news. Quantum computing could render blockchain security obsolete, as it has the power to easily crack the mathematical functions that make blockchain work. For most folks though this doesn't mean much, yet. Quantum computing opens up an entirely new world of possibility for which we will all eventually benefit from. IBM actually released an API and SDK for quantum computing in 2017. It’s available here for those who want to start exploring. See a piece of tech announced at CES which caught your eye? Let us know on Twitter.